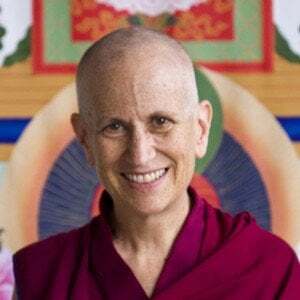 Establishing Sravasti Abbey fulfills a long-held dream for Venerable Thubten Chodron: to train Western ordained sangha in the Buddha’s teachings. Her vision includes doing prayers and practices in English and using technology to spread the Dharma. She brings her core values of gender equality, social engagement, and care for the environment to the Abbey community. A native of the U.S., Ven. Chodron, whose Chinese Dharma name is De Lin, is particularly qualified to teach Western monastics. She trained in Asia for many years, receiving novice ordination from Kyabje Ling Rinpoche in 1977 and full ordination in Taiwan in 1986. Her teachers include His Holiness the Dalai Lama, Tsenzhab Serkong Rinpoche, Lama Zopa Rinpoche, and Lama Thubten Yeshe and many others. In addition to founding Sravasti Abbey, Ven. Chodron is a well-known author and teacher. She has published many books on Buddhist philosophy and meditation, and is presently co-authored a series of books— The Library of Wisdom and Compassion —with His Holiness the Dalai Lama, with whom she has studied for nearly forty years. There’s info on the first three volumes here: Volume 1, Approaching the Buddhist Path; Volume 2, The Foundation of Buddhist Practice; Volume 3, Samsara, Nirvana, & Buddha Nature. Ven. Chodron teaches worldwide and is known for her practical (and humorous!) explanations of how to apply Buddhist teachings in daily life. 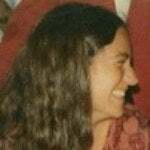 She was resident teacher at Amitabha Buddhist Centre in Singapore and Dharma Friendship Foundation in Seattle. Ven. Chodron is also actively involved in prison outreach and interfaith dialogue. Visit thubtenchodron.org for a media library of her teachings, where you can also browse her books. Watch the video about her life and work made for the Global Bhikkhuni Award ceremony in Taiwan. Her teachings are also on the Sravasti Abbey YouTube Channel.